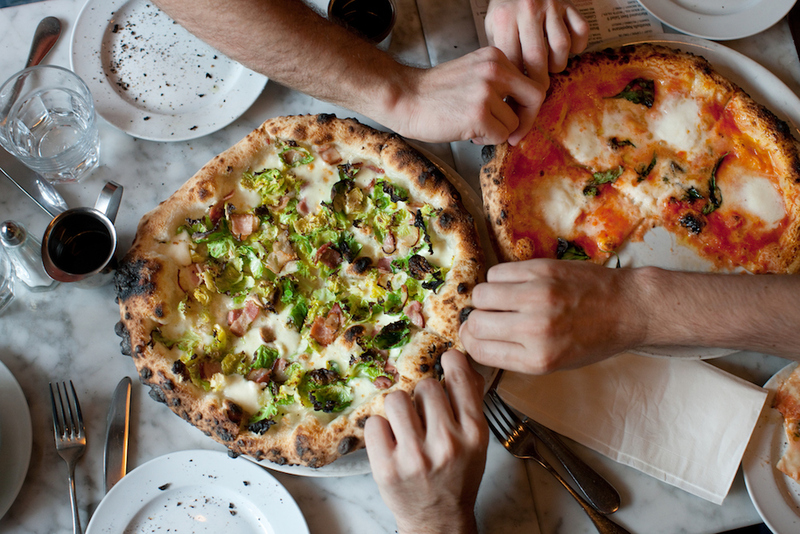 The New York Times's Pete Wells says no pizza in NYC gives him "as much pleasure" as Razza in Jersey City. Jokes made at the expense of New Jersey are as much a part of New York City culture as jokes made at the expense of Staten Island, jokes made at the expense of the rest of New York state, and jokes made at the expense of the Mets. However, though New York certainly has a lot to be cocky about, when it comes to Italian food, the city shares a lot of similarities with its neighbors to the south. A strong sense of Italian heritage runs from North Jersey all the way down to Philadelphia, and plenty of amazing Italian-American food can be found along the entire stretch. Still, as one of the most competitive food scenes in the world, most New Yorkers typically consider it an affront when someone suggests the best pizza comes from outside the five boroughs—especially if that someone is the food critic at the New York Times. Pete Wells, the aforementioned critic, has never had any issue with taking controversial stances: How can anyone forget his unpretentious, upbeat 2015 review of the Times Square Señor Frog's? (RIP, BTW.) And granted, not always being in lockstep with conventional thinking is part of what makes for a good critic. But seeing as the New York Times pays his bills, calling a pizza on the other side of the Hudson River the best in the city is a bit treasonous—even if the whole Jersey City/Hoboken area is basically a sixth borough. And yet, in a three-star review of Jersey City's Razza published yesterday entitled "Is New York's Best Pizza in New Jersey?" Wells argues precisely that. Interestingly, he refuses to directly put the words in his own mouth. The article instead ends with a question posed by Serious Eats founder Ed Levine. "'Are you going to say that the best pizza in New York is in New Jersey?'" wrote Wells, restating Levine's inquiry. "I am, Ed. I am," the Times critic concludes. It's a classic comedian's trick: If something might be too offensive to say yourself, say it through someone else. But Wells isn't joking. In his review, Wells states that Razza "is one of the few [pizzerias] that excel at both dough and toppings." On the former he wrote, "[If] the kitchen had run out of cheese, tomatoes and the rest, I would have asked for a pizza dressed with nothing but olive oil." On that latter, he describes the restaurant's Garden State pizza as having a sauce that "was bright and sweet enough to remind me that ripe Jersey tomatoes are still worth hunting down" and buffalo mozzarella that "was more buttery and flavorful than any other American mozzarella I've tried." Wells also points out that his trip to Razza was only a seven-minute PATH train ride from Manhattan. Maybe all of this isn't so outrageous after all.